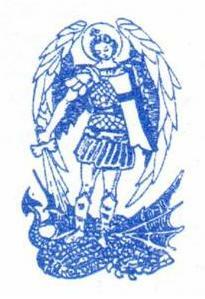 The Lodge of St Michael 7833 was consecrated on St. Michael's Day, September 29th 1962. This section tells of the formation of the Lodge and its development over the past half century. Saint Michael the Archangel, venerated in Judaism, Christianity and Islam, features on the banner of the Lodge of St Michael, having vanquished the dragon with his flaming sword. In the Book of Revelation, St Michael leads God's armies against Satan.